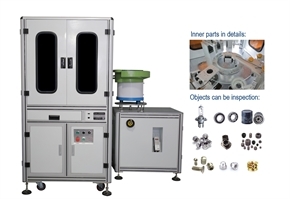 Our company is a high-tech enterprise located in Rui'an Luofeng Northern Industrial Zone. 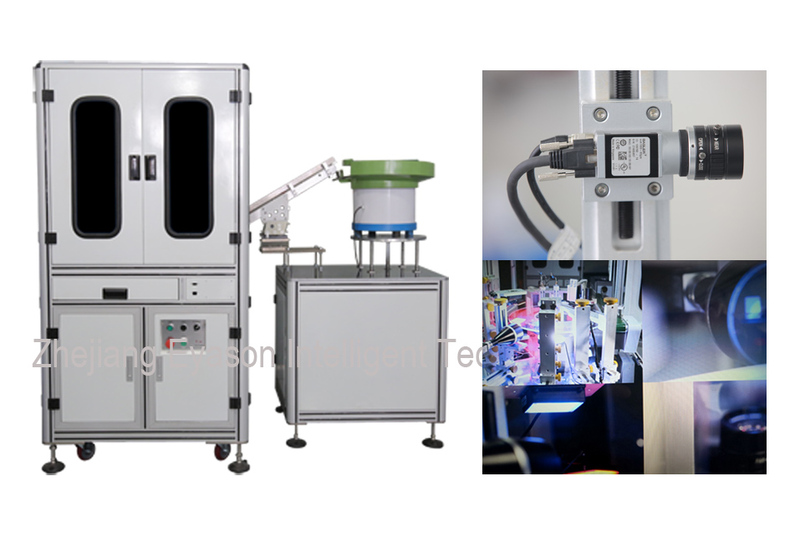 We are specialized in research and development, production, sales and service for the visual sorting and inspection machines. 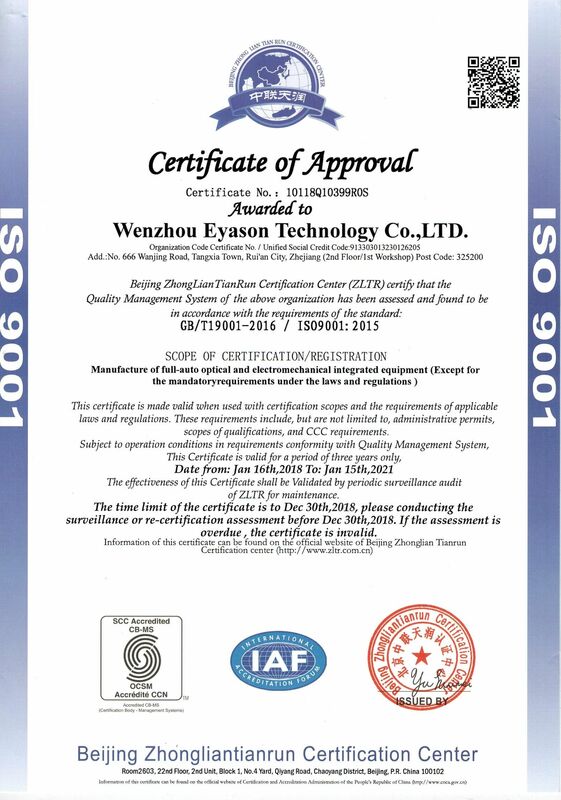 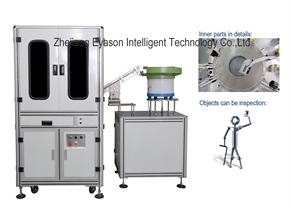 With ten years of experience, our company possesses several invention patents. 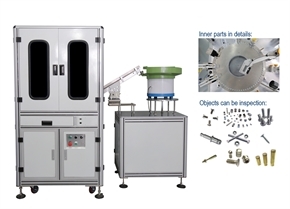 Our machines can be used to inspect the screws, nuts, rivets, oil seals, spring gasket, hard ware with special shape, electronic elements etc. 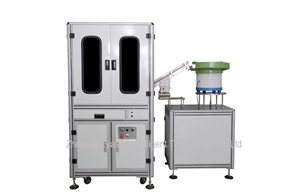 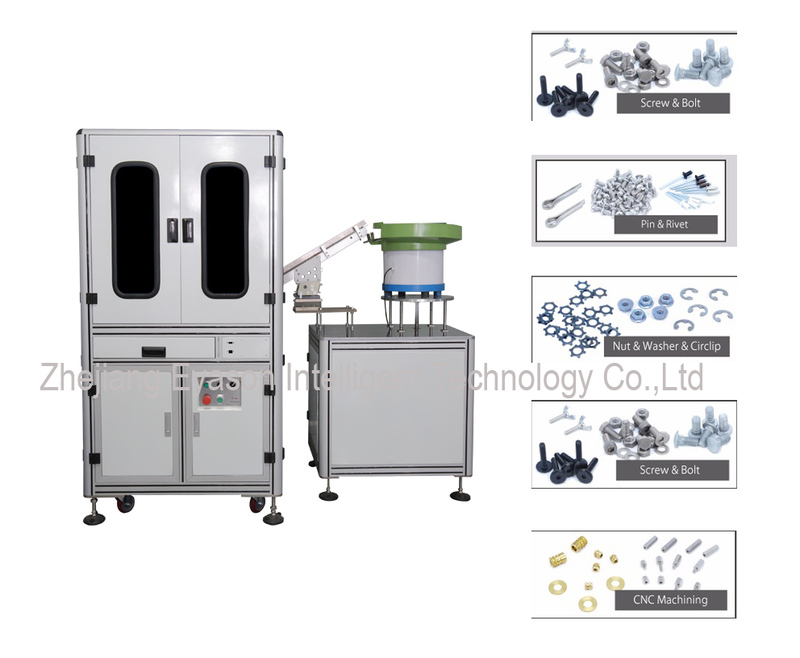 It features high precision (max ±0.001mm), fast speed (max speed 1000pcs/min) and easy operation. 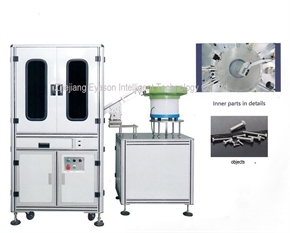 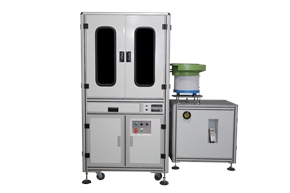 All the machines can be customized based on the specific requirements of the clients. 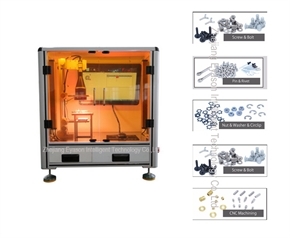 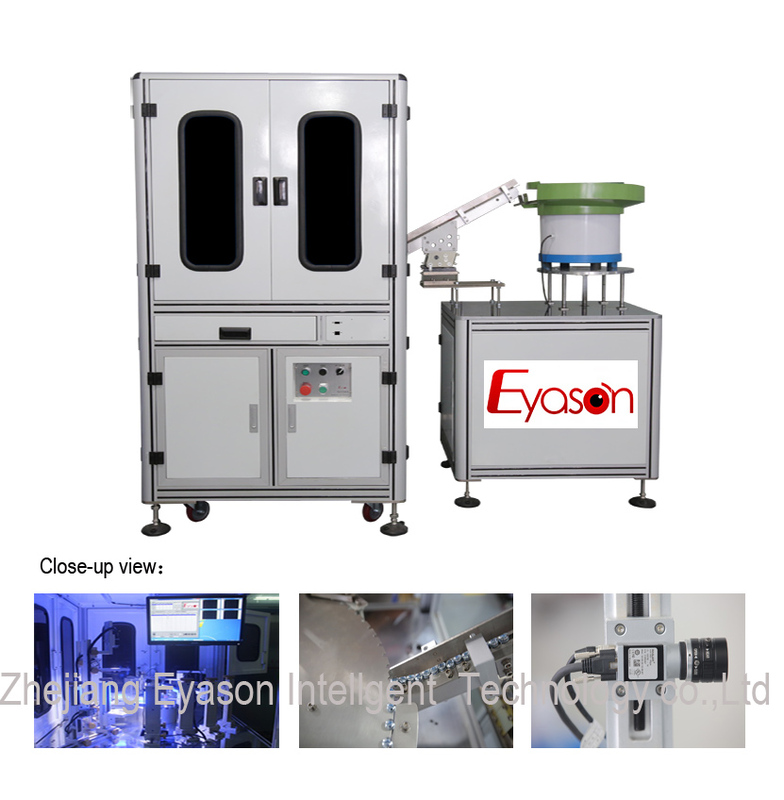 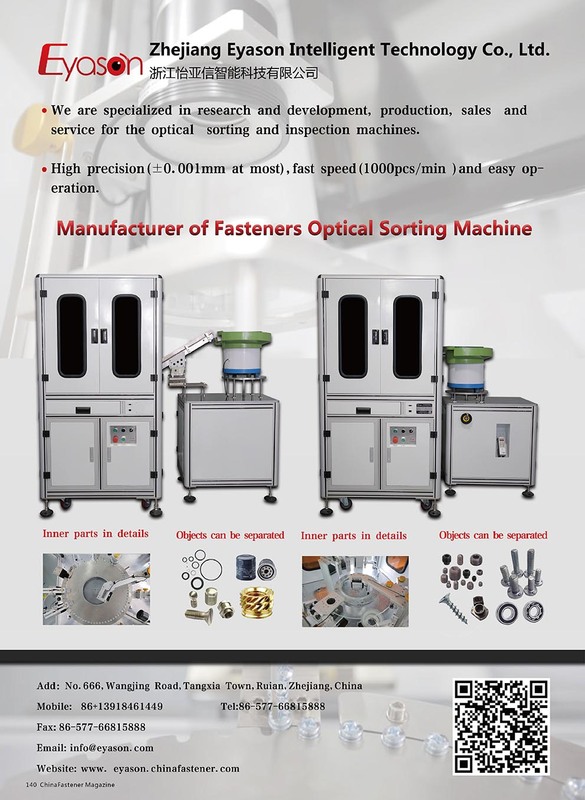 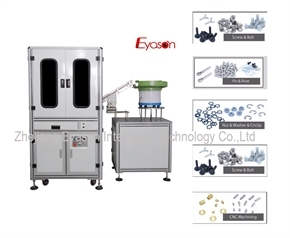 Our sorting and inspection machines for screws, nuts, location pins, auto lamps, auto fuse box and piston rod have obtained unanimous praise from our clients.